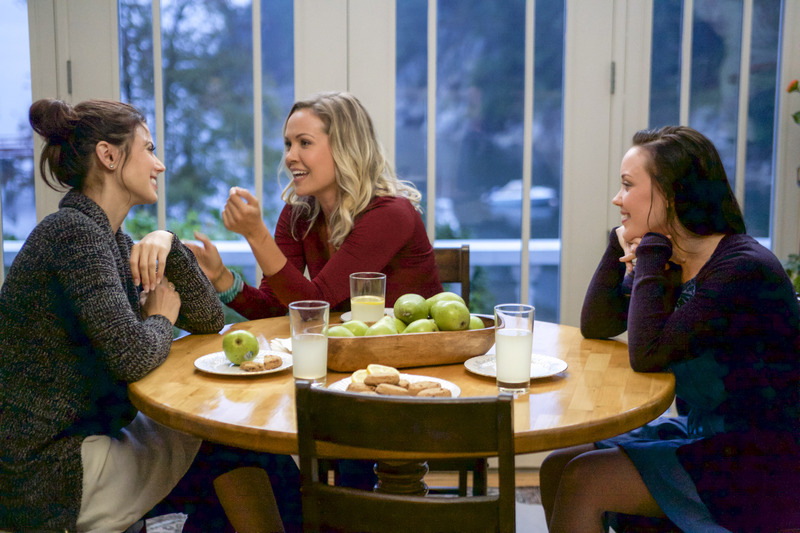 Their first original scripted series Cedar Cove lasted three seasons and set the bar for excellence in programming on the network. Soon, the original series When Calls the Heart premiered and not only became an instant hit, but inspired thousands of fans, known as the Hearties, to come together and form their own fan community. 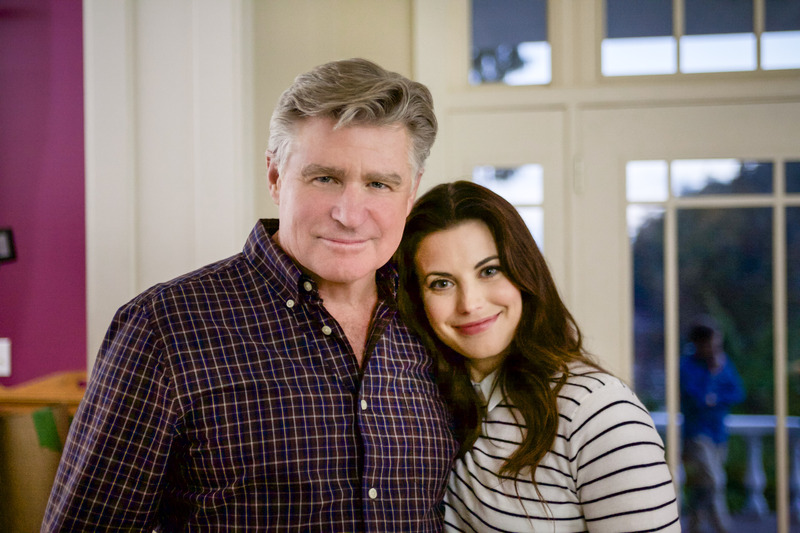 Now, the network is back with its third original series Chesapeake Shores. The series premiered last week to strong ratings. One of the reasons for the success of the show is actor Meghan Ory who plays Abby Winters. Meghan has built an impressive resume and continues to be a sought after actor in Hollywood today. You may remember her from the series Higher Ground or Vampire High. She’s also guest starred in series such as Smallville, Knight Rider, Psych and Supernatural. She starred opposite Lost’s Josh Holloway in the CBS series Intelligence and most recently, she played Little Red Riding Hood in the ABC hit series Once Upon a Time. We sit down with Meghan to discuss Chesapeake Shores and her character Abby, what similarities she shares with her character and what fans can look forward during the first season of the Hallmark series. Pop Culture Principle - What was it about the script for Chesapeake Shores that made you want to sign on to the project? Meghan Ory – I read the pilot and I just really loved that it was a story about a family and it was a show that was going to get into the family dynamics of being in a big family that’s in a small town. It just lends itself to so many different, dramatic situations that as an actor are really fun to play. I also love a love story and I saw what the role out for the future could be and it made me excited. Pop Culture Principle – Did you have a chance to read the book series to prepare for your role? Meghan Ory – You know what, I wanted to but was told by my bosses that it was not a wise idea because the books are kind of a loose guideline for the series and they are not going to be followed to a tee. They were worried that it would put incorrect ideas in our head if we were to read the books and expect that this is where the show was going to go. When we finish, I will probably read them because it would be interesting to see where the show sort of diverges from the books. Pop Culture Principle – Can you tell us the basic premise of Chesapeake Shores and about your character Abby Winters? 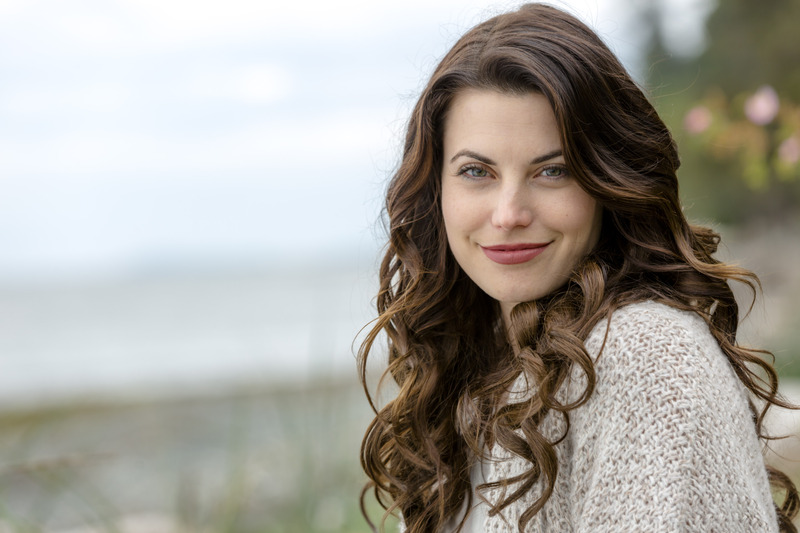 Meghan Ory – Chesapeake Shores is a small town and it’s where my character Abby grew up with her four siblings. The show is about going home again basically and being able to sort of rediscover who you use to be when life sort of gets in the way of that. Abby works in finance in New York and has a very fast paced life and has a reason to go home to help out her sister. She realizes what she’s been missing out on in her life in her quest to just work more and more and harder and harder. She realizes that she needs to find some balance in her life. I’m also from a small town and I think one of the things that I relate to about the show is that when you are from a small town, you grow up or I did anyway, thinking it’s so boring and there isn’t a lot to do there and you can’t wait to get out into the big world. Then when you get out into the big world, you realize that you had it great in your small town. It was kind of nice and comforting, you miss your family and want to spend more time with them when you are away. I think that there is a lot of that in Chesapeake Shores which is nice. Pop Culture Principle – In what ways are you like Abby and not like Abby? Meghan Ory – Well, I don’t have children. I can’t imagine having a nine and a seven-year-old. My hat goes off to Abby. I think she’s done a great job working as much as she does with them. I guess the thing that I have in common with her is that I am from a small town and I moved to a big city. I definitely do see the benefit of being able to go home and I definitely try and get home a lot more now that I am older and I recognize the value in that. I don’t think I really did when I was a young whipper snapper. Pop Culture Principle – The core of the series is the relationship between Abby and Trace. If that isn’t believable, the series probably wouldn’t work. You and Jesse Metcalf really work well together in the series. What was it like working with him? Meghan Ory – It’s kind of funny actually because Jesse and I go way, way back. We were in John Tucker Must Die and he also worked with a friend of mine a couple of years later and we did a zombie movie together two years ago. We both started laughing saying that we can’t get away from each other which is pretty funny. It was really nice actually that we had that history because you know obviously Abby and Trace have this great history. Jesse and I have this shorthand with each other and we know how we each work and we can cut through a lot of things that are more difficult sometimes in trying to create that with somebody. We always have fun and we play around with the scripts and I think the viewers are going to enjoy the way their story goes because it’s not cut and dry. To me it’s really interesting because someone that you loved so much when you were so young and was your first love, you will always have that place in your heart for them, but you have also changed and you’ve become different people and you lived these lives that you don’t know about and I think it’s really interesting to sort of rediscover what that love has turned into. Pop Culture Principle – You mentioned in your previous answer that Abby and Trace are two different people now. Will that be an obstacle for them in the future? Meghan Ory – I think so. We don’t get into that too much in the first season, but I definitely think that moving forward, if the show does hopefully, we’ll get into that a lot more. I think it’s a really interesting part of relationships in general in how people grow and change and do that together and discover who they’ve each become independent of each other. Pop Culture Principle – One of the great assets of the series is its phenomenal multi-generational cast. From veterans like Treat Williams and Diane Ladd to newcomers Abbie and Kayden Magnuson who play your daughters. What has it been like working with cast like that and have you learned anything from the veterans? Meghan Ory – Well, I’ve definitely learned a lot from working with those guys. Everything seems so easy to them because they’ve been doing it for so long. They definitely have an ease about them when they are on set and it’s really wonderful to watch. I remember doing a scene with Treat a couple of episodes in and he has this moment that’s really powerful and I was off camera watching him and it took my breath away. As an actor, you don’t have that very often where you are thrown by how deep he goes and how easy he gets there and it’s very inspiring to watch. Abby and Kayden are seven and nine and they are just little balls of energy and just love being on set and they are so great. Everyone all together, the energy just makes me want to have a huge family because I come from a pretty small family and the energy with everyone on set is just amazing. It’s so loud and then someone yells action and then we have to act. It’s a pretty fun environment. Pop Culture Principle – It seems one of the major themes of the series is that no one is perfect and you get just one family and family is important. Would you agree with that? Meghan Ory – Absolutely! One of the other things that I love about the show too is that no one is perfect. You are not always going to love your family and sometimes your family is going to drive you crazy and piss you off, but they are your family and so you will always love them. That’s one of the things I love about the show is the family dynamics, those relationships and how everybody, especially in big families, how everybody has a different part to play and how they interact with each other I think is fascinating. Pop Culture Principle – We learn that there are still some issues between the father and his children. Do you think it was important that aspect of their relationships is explored and do you feel the writers handled it well? Meghan Ory – I think the writers dealt with it quite well and I don’t think it’s something that can be covered in just one episode and is something that will probably take us through the entire series because as adults, having that different relationship, yet having those same hurts from when you were a kid and trying to figure out how to deal with them. He’s also a different person now and he’s grown as well. He’s been gone and away and everyone’s relationship is different, but you still have those same old wounds. I think you will see that when the brother’s come home and how their relationships is. Everyone has their own story when it comes to their dad or in the show’s case Mick and it’s interesting to see how from the same family, different people can have a different relationship or idea about who that parent is. We do go into that further on into the series and I find it interesting to watch. Pop Culture Principle – In today’s work world, we are always plugged in even when on vacation. Do you think it’s important to “unplug” every once and a while and just enjoy life to keep that balance? Meghan Ory – Yea, of course to each their own, but personally I find it very important to have no electronics after a certain hour and things like that. I was just reading an article about a bar somewhere where they installed tinfoil around the entire exterior of the bar and the people couldn’t get cell service. The owners of the bar were saying that no one is talking to each other anymore and they want people to talk to each other. I thought that was a brilliant idea and I think I’m going to do that in my house. LOL. Pop Culture Principle – You’ve worked in the past on two other Hallmark Channel projects. Why do you enjoy working with the Hallmark brand? 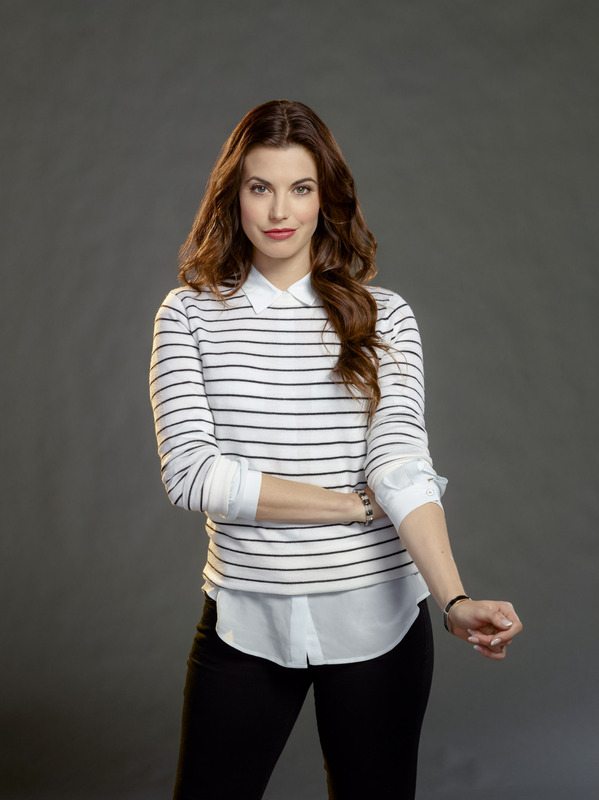 Meghan Ory – Chesapeake Shores is my third project with Hallmark and I just really like having the ability to tell stories that are more character driven and situation driven as opposed to something crazy or supernatural. There are so many shows that have different elements that are dark and I like those too, but it’s nice to know you can come to Hallmark and find something that is going to make you feel good at the end of the day. When you are working on these stories for months at a time, especially with a series, it’s nice to be in a world that you want to be in. Sometimes it can be a bit much to be in a dark place as an actor all the time because it can be quite draining. I find being able to tell these stories for a longer period of time is really nice and it is kind of a breath of fresh air to get to play in that sense. I think it’s great that Hallmark puts these series and movies out into the world because then you have choices. Pop Culture Principle – Will you be doing any live tweeting of the upcoming episodes with the fans of Chesapeake Shores? Meghan Ory – Well, I have Instagram and I was on Twitter for a while when I was on Once Upon a Time and it got a little hairy for me, so I chose to step away from the Twitter world. I probably won’t be doing any live tweeting, but I was live Instagraming a little bit. It’s not quite the same thing, but it is something. Pop Culture Principle – What can fans look forward to with this season of Chesapeake Shores? Meghan Ory – We finished filming the first season about a month ago. I think in terms of what the season has in store is that it will give everybody something to relate to in terms of family dynamics and things people have been through with their own families. They have done a really good job of expanding on each of the individual characters throughout the season, so you get to learn a lot more about the entire family which is really great. I think my favorite thing is what they do with Trace and Abby’s story. It’s a very satisfying end to the season and there are some pretty great moments between them that the fans are going to really love. We would like to thank Meghan Ory for taking time to talk with us about her new series. Remember, you can catch all new episodes of Chesapeake Shores every Sunday night at 9/8c only on the Hallmark Channel.